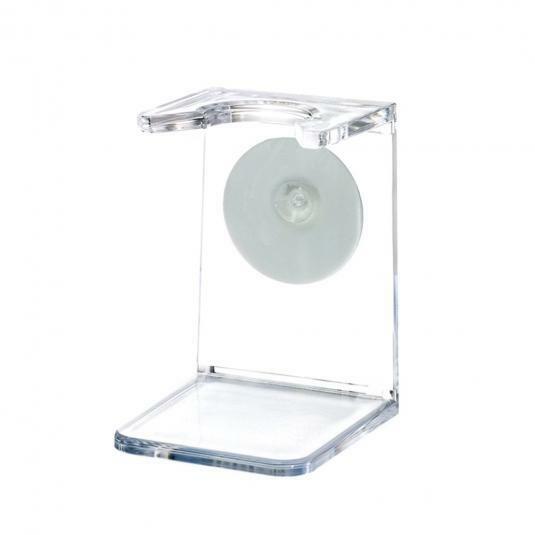 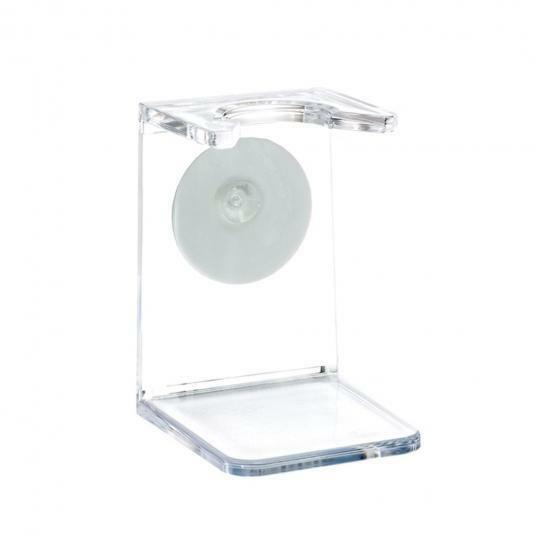 Shaving brush stand in clear plastic. 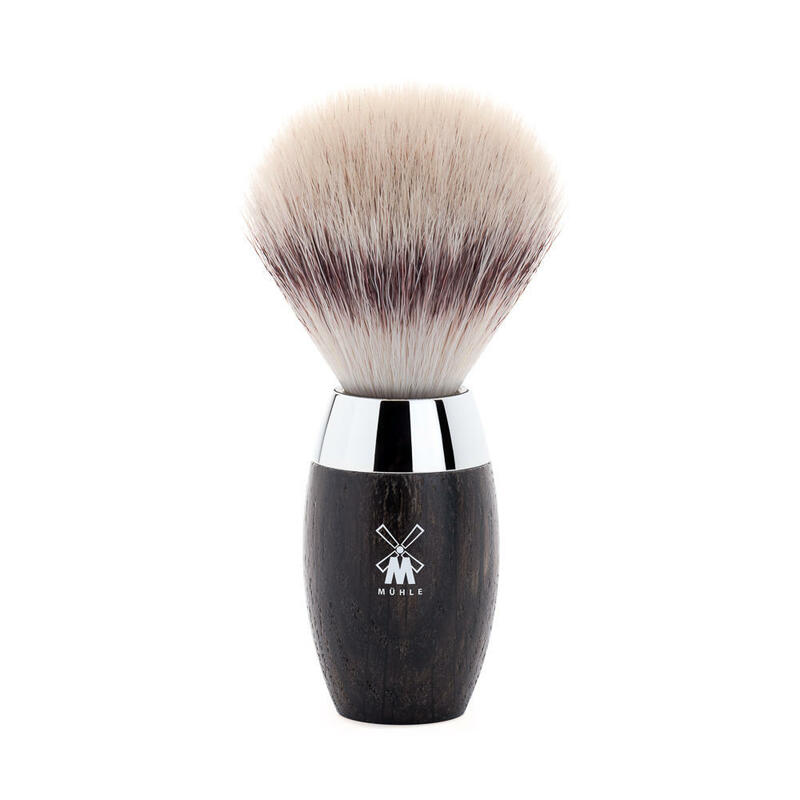 This type of stand allows shaving brushes to dry upside down preventing water collecting in the handle, a cause of bristle deformation. 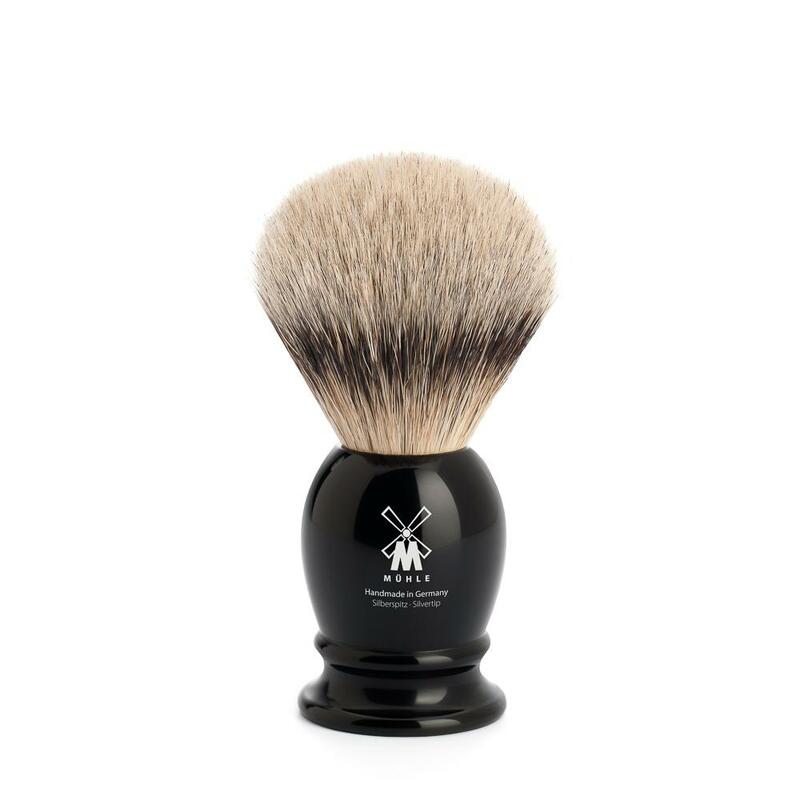 Also known as shaving brush 'drip' stands. 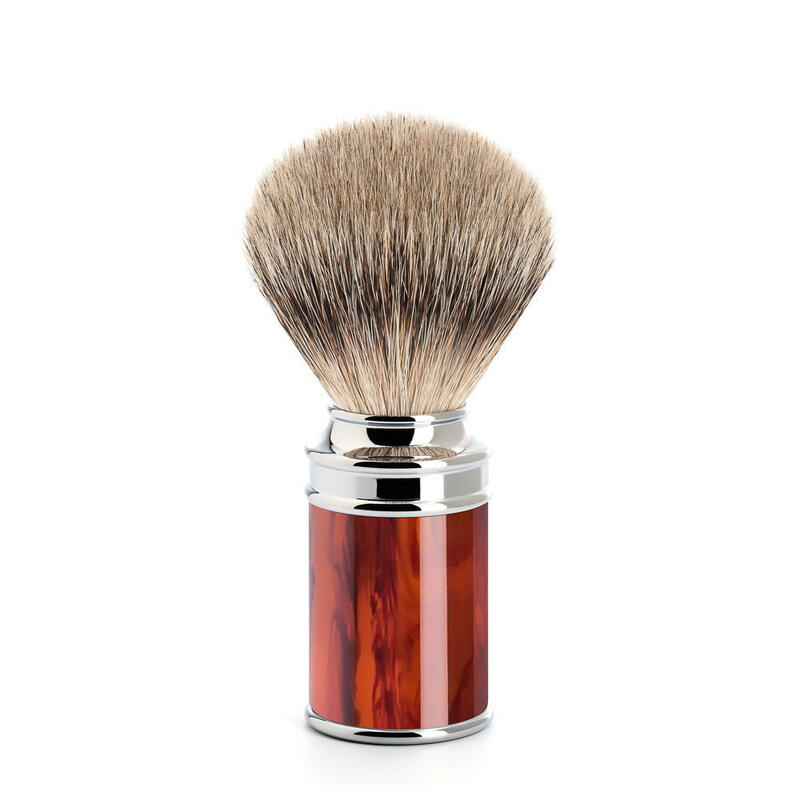 This model will fit all shaving brushes (badger or fibre) with 21 mm handles.